The article, published in the Journal of Biological Chemistry, from researchers at Indiana University School of Medicine, appears in the Aug. 9 version of the journal online. In the June 5 issue of the journal Nature Medicine the researchers had shown that this new peptide short circuits a pathway for chronic pain without interfering with other important nerve functions. Rajesh Khanna, Ph.D., and colleagues thought the peptide, CDB3, might be related to cell death in the brain because of another protein it interacts with. Dr. Khanna is an assistant professor of pharmacology and toxicology at the IU School of Medicine and a principal investigator in the Paul and Carole Stark Neurosciences Research Institute and the Indiana Spinal Cord and Brain Injury Research Group. 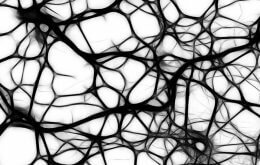 The CDB3 peptide spares neurons from death following traumatic brain injury following stroke and accidents. Testing is ongoing as to the usefulness of this peptide in a blast injury model in collaboration with the laboratory of Purdue University researcher Riyi Shi, M.D., Ph.D., professor of basic medical sciences in the School of Veterinary Medicine. This blast injury model mimics injuries from explosions, motorcycle accidents and other trauma. Working with the laboratory of Jinhui Chen, M.D., Ph.D., assistant professor of neurological surgery and a researcher with the Stark Neurosciences Research Institute, they have been successful in preventing cell death in an open-head contusive model of traumatic brain injury in rats. “We’ve extended the function of this peptide beyond pain and the fact that CBD3 protects neurons when given two hours after stroke is very promising,” Khanna said. The next step in their research is to test the effectiveness of injections of the peptide at longer intervals following injury and with different types of brain injury. The expectation is that targeting the NMDA receptor with this peptide could lead to development of neurotherapeutics against traumatic brain injury as well as other neuronal insults. The research was funded by the American Heart Association Scientist Development Grant and a grant from the Indiana Clinical and Translational Sciences Institute.